New from The Warsman's Customs Cave! Read all five action packed pages of Kinnikuman Microman wrestling HERE! Heading to Japan anytime soon? 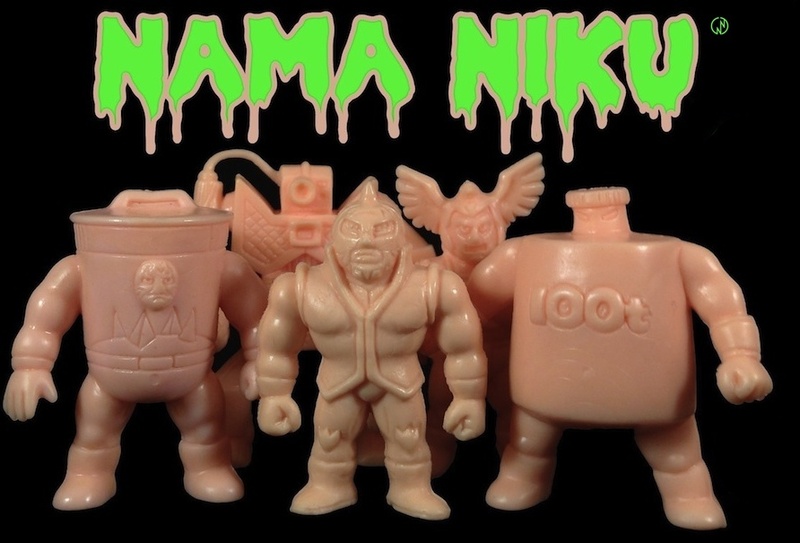 Check out my top picks for the best spots in Tokyo to score Kinnikuman goods! Mandarake Micro (4F) - Kinkeshi, Gachapon, Microman, Romando, Sofvi, CCP, Pansonworks, Daishi, Play Sets, other rare Niku stuff etc. F1 - Glass Case w/rare Microman, Romando, CCP, Medicos, vintage Kinnikuman goods. Action Character floor - Gachapon galore (top stock! ), Kubrick, re-release Kinkeshi. Tons of re-release Kinkeshi and Gachapon from almost every Kinniku release series. CCP, Sofvi, Medicos, Microman, packaged Kinkeshi 28 packs, Play Sets, Romando. Multiple shops carrying new and used Medicos, Gachapon (tons), CCP. Right on Chuo Dori (can't miss it). I have to admit that I like the original location much better. This temporary one is not too shabby though, and worth a visit for sure. Two large areas with all new toys. Depending on product releases, this is a great place to find new Kinniku Medicos, boxed Gachapon etc. Exclusive location of the Kaikodo x Romando series, tons of Romandos, Gachapon, Kinkeshi. A bit out of the way, but worth the trip! A five min walk from the Okegawa station. Last but not least, check out my previous post on KIN29SHOP. This one cannot be missed! An inside look into Studio Egg is extremely rare, and the entire experience was surreal to say the least. I was lucky to be accompanied by two super Japanese Yudekkii, Duke and Kinoshita-san. These guys both worked extensively on the last Kinnikuman Day Muscle Museum, and were responsible for the event's amazing Kinnikuman Day posters and Kinnikuman Kimono. It was an honor to be able to share this visit with fellow fans who have been actively engaged in promoting Kinnikuman. We were greeted at the door by Nakai-sensei, and a giant painting of Mick Jagger. He is a huge Rolling Stones fan, and I knew right off the bat that I scored with the Stones 1981 American tour t-shirt I got him. 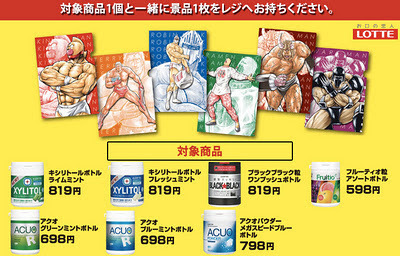 I was taken back at how neat and organized everything was, and overcome with a sense of Kinnikuman history. I was also awestruck at the sheer volume of meticulously displayed Kinnikuman collectibles. Nakai-sensei is an avid Kinnikuman toy collector and has been known to peruse the halls of many toy shops selling Kinnikuman goods in Akihabara. Apparently they do not always get product samples for their merchandise, so he goes out himself to buy figures missing from his collection. How crazy is that!? We chatted about the launch of Ultimate Muscle and their visit to the New York Toy Fair. Our discussion turned from toys to the English version of the Nisei anime and manga and we laughed about the difference in names, character voices, and censorship that took place. We also discussed the phenomenon of characters popular with overseas fans that are not necessarily big in Japan. They now know probably more than they ever wanted to about the mania surrounding the Sunigator claw and Satan Cross. They were very interested in the discussions that place on boards like Little Rubber Guys, and were hungry for information on the various overseas Kinnikuman scenes. The Kinnikuman series is still going strong and I can say with confidence that there is plenty more in-store for all of us! They also expressed appreciation and surprise with my knowledge of the original series and were amazed to hear about the dedication of many of their biggest fans. While there are no definitive plans at this point, there is talk of making a US appearance and doing a signing event with fans. Around this time, I was given the green light to tour the studio and take pictures of anything I wanted. My head was swimming with excitement, and I was super glad my wife was there to step in and take over the camera! It was also around this time, that I was presented with what is now the single greatest item in my Kinnikuman collection. Words cannot express the joy and excitement I felt upon viewing this original piece of art. Nakai-sensei indicated that it has been well over 25 years since he had drawn King the 100 Ton. To get a piece of art with my five favorite choujin was beyond anything I could have ever imagined. I cannot thank Yudetamago enough for their kindness towards me, and their support of Nama Niku! I was almost on the brink of tears receiving this gift, but was suddenly saved by the giddiness of my fellow Yudekkii as they broke out their childhood copies of Kinnikuman to be signed by Yudetamago. Watching their faces and sheer excitement was something I will never forget. Grown men starry eyed and overjoyed by this interaction with their true living heroes was something I could completely relate with. It was very special to say the least. Handling Shimada-sensei's hand written scripts, and flipping through the unpublished art work was almost too much to process. We were also allowed to tour the back room where a staff of six full time apprentices complete background work and other necessary tasks to make Kinnikuman come to life. Nakai-sensei explaining what we were looking at ~ wow! After my visit, I can say that with out a doubt that Shimada-sensei and Nakai-sensei are truly invested in their fans, and care a great deal about your support. I will honor and cherish the memories of this day for the rest of my life. I still have goosebumps and chills just thinking about it. 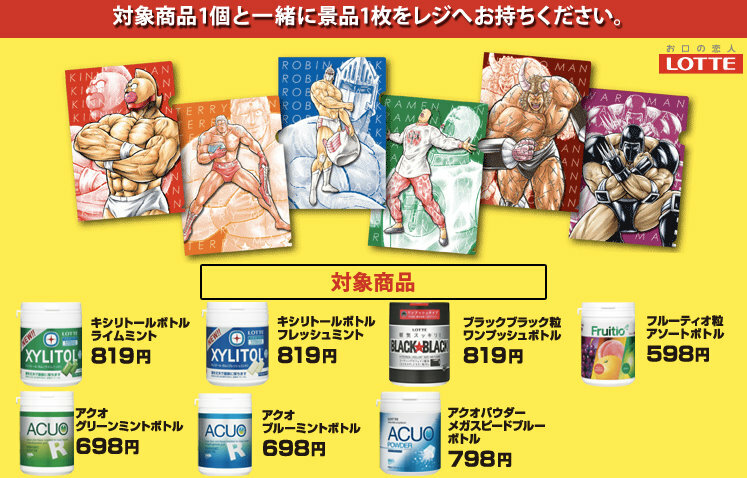 Yudetamago has teamed up with Lotte and Circle K/Sunkus to launch a new Kinnikuman clear file giveaway campaign. I have been chatting with Lil' Mister P of Da Flow about these T's, and hope to share more from them on Nama Niku in the near future. Complete set of KIN29SHOP x CCP figures!